Did Oxford die on June 24th? I don’t think so. Because if he did die on that day it would be one heck of a weird coincidence, almost as bizarre as the author of the canon being born with a name that perfectly fits his role as militant teacher and awakener––“I will shake a spear”; or that the first two successful yearround commercial theaters in England just happened to open both their doors within weeks of the Earl of Oxford’s return from theater-savvy Italy. As I got more familiar with Oxford’s biography I became increasingly suspicious of this date. He could hardly have picked a more significant day to “pass on” than the day after the traditional summer solstice celebration in the pagan calendar, Midsummer’s Eve, or, in the Church calendar, on the Feast of St. John the Baptist. To die on such a day seems most suspiciously like another gesture from behind the curtain of his anonymity. But if so, what did it mean? 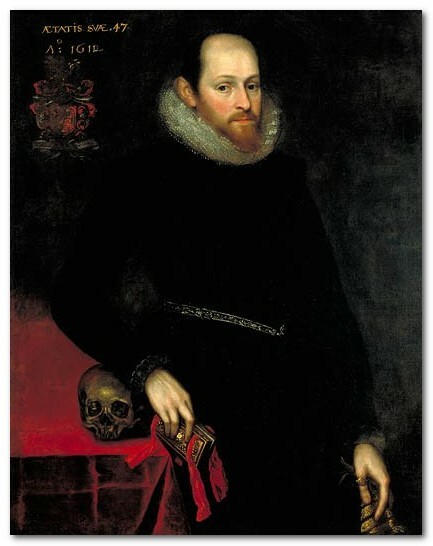 Suspicion increased upon noting that after being turned down for the Presidency of Wales in 1601, plus several other attempts to establish himself as something other than the bankrupt husband of Elizabeth Trentham, he drops all similar suits for properties, offices, and monopolies, setting his sights once again, as he has so often, on getting back his inherited rights in the Forest of Waltham. Why the forest of Waltham? There was some income associated with these offices (keeper of the Forest and steward of Havering-atte-Bower), but there must have been something about these forest offices that kept him coming back to them every few years. For one thing the stewardship of the Forest was an office that had been his family’s for generations. His father had lost it to the Crown under Henry VIII, but as was true of many aristocrats who had similar inherited offices in other forests, he considered it his. Documents collected by Chris Paul make it clear that once he was given it back by James, he considered his role as forest official seriously. It’s also clear from his letters that he was suffering from physical problems in his final years, but that doesn’t necessarily mean that he was at death’s door. Some people live and continue to function for years with all kinds of disabilities and pain. After all, he was only fifty-four. 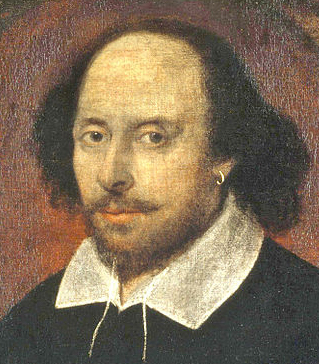 Months after his supposed death, eight Shakespeare plays are produced for the Court holiday season. One of these is Measure for Measure, in which a nobleman very like himself disappears on purpose. Duke Vincenzio has large executive powers over his constituents, much like those recently acquired by Oxford over the inhabitants of the Liberty of Havering. 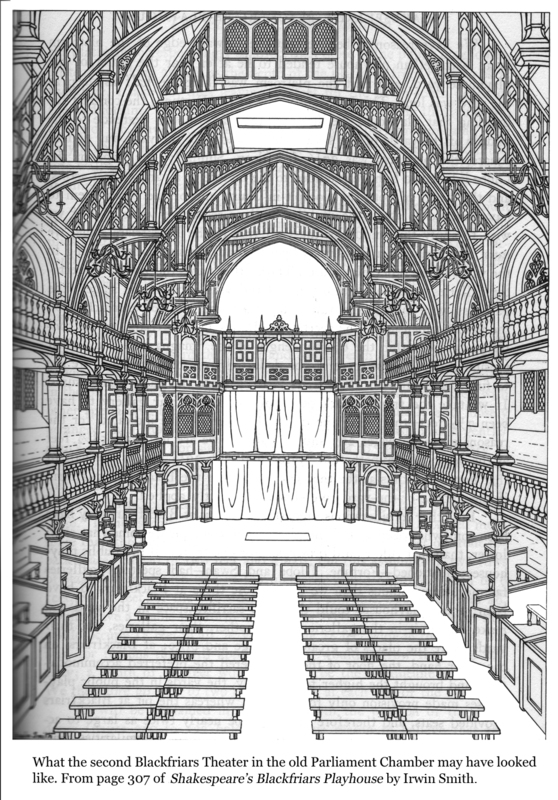 Six months after he was supposedly dead, Measure for Measure is performed for the Court the night his daughter marries Philip Herbert, brother of the Earl of Pembroke, leading patron of Shakespeare’s company. The play is replete with philosophical thoughts on death, and also on the duke’s disappearance. Lucio complains, “It was a mad fantastical trick of him to steal from the state, and usurp the beggary he was never born to.” Later, contriving the scheme whereby Claudio is to be saved and Angelo hoist by his own petard, a monk (the duke in disguise) tells the prison provost that the duke is coming back, that “within these two days he will be here” a thing that “Angelo knows not; for he this very day receives letters of strange tenor; perchance of the duke’s death; perchance entering into some monastery.” Getting close to home here. Another play produced for the Court that season was The Spanish Maze. That this was a version of The Tempest has been convincingly demonstrated by Roger Stritmatter and Lynn Kositsky. It portrays a great magician whose powers, limited to the creatures of a remote enclave, he voluntarily renounces upon the wedding of his daughter to a worthy nobleman to whom he gives his little kingdom as a wedding present. Again, awfully close to home. As far back as 1595 Oxford had announced to the Court, during the version of The Tempest he produced in January of that year for his oldest daughter’s wedding, “this rough magic I here abjure,” promising that as soon as he’s cleaned up certain problems, he’ll “drown” his “book.” He follows this by reopening his suit for Waltham Forest at some point before October (Nelson 351), and a month later Roland Whyte writes to his boss, Sir Robert Sidney, “some say the Earl of Oxford is dead” (354). So “Prospero-Vincenzio” may have tried to pull this disappearing stunt as early as 1595. Which suggests the real reason why the Queen wouldn’t let him have the forest. She knew how frustrated he was, but as long as he couldn’t get what he wanted she also knew that she kept him tied to her, a trick she used on many of her courtiers. So what was he up to? Leaving the historical evidence for another essay, let’s look at his plays. 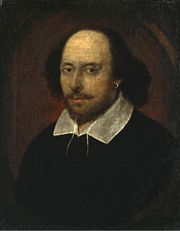 Here’s a writer whose protagonists, when stressed, tend to take off into the woods where they starve (Timon and Orlando), join up with bandits (Proteus and Valentine), take up with banished dukes (Orlando, Touchstone, and Jaques)––or, in happier times, chase girls (Lysander and Demetrius), pin valentines on trees (Orlando), get pinched by fairies (Falstaff) or control the inhabitants through their magic (Prospero and Oberon). In Shakespeare, as in Oxford’s childhood, the forest, the wildwood, is never very far away. In the history plays and most of the wedding plays, it lies just outside the circle of light on the indoor stage. Although in Oxford’s time the great Forest of Essex that once blanketed all England was giving way to cottages and sheep farms, it happened that, of the largest portions that were left, Oxford spent his early childhood just across the Thames from the Forest of Windsor, and his later childhood at the northern edge of the Forest of Waltham. Who approaching the end of life doesn’t yearn to return to the summer scenes of childhood? Who wouldn’t do it if they could? For Shakespeare, the Forest is the matrix, the ancient and still-living heart of the long history of his homeland that was the canvas of his art. In a world of change it remains the one place untouched by time. It’s where, as a child, stuffed by his tutor with classical learning and Reformation rhetoric, he discovered that there were books in running brooks and sermons in stones. The anger expressed in his January 1604 letter to King James about how Lord Grey was misusing the forest shows genuine anguish. His plans for it show no sign of an approaching death. Where did he live in the forest? My guess, drawn largely from evidence provided by Chris Paul’s extremely important article on the subject, is that he was living somewhere in or near Hainault Chapell Walk (6), roughly ten miles east of Hackney and a stone’s throw from Havering-atte-Bower. According to Paul’s research there was an old hunting lodge there, although it sounds a little too small and in too poor condition for a peer, even one whose only concern was peace and quiet (51). But as is clear from William Addison’s book on Epping Forest, there were plenty of hunting lodges in that area built by and for various members of the Court over the years. King James would have spent a good deal of time there since it was filled with homes of his courtiers, with opportunities for hunting a mere 14 miles from Greenwich Palace. It’s obvious that King James had a more forgiving attitude towards Oxford than had the old Queen. Where she stalled him for years on his request for the Forest, James gave it to him as soon as he got to England, later referring to him as “great Oxford,” not a phrase that would ever have been heard from Elizabeth. This can be explained as simply another instance of the new King’s excessive largesse on taking the throne and Oxford’s exalted status as 17th in his ancient line, but it can also be seen as a desire to provide security to a great artist not sufficiently appreciated by the English (who are rarely good to their great artists). Possibly in grateful response we see an outpouring of revised plays, eight alone (that we know of) for the winter holidays of 1604-05, and more to come in the months to follow. Would the King’s Men have dared to produce eight old plays for the first holiday season for their new patron, the first new English monarch in over forty years? Old plays might have pleased the royal newcomers, but there were also several hundred important courtiers, most of whom would have been well acquainted with earlier versions of all eight of these plays. From a theater entertainer’s point of view, that all of the plays presented to the Court that winter were produced without revisions or additions is unlikely. James was good to Oxford, but he could not have been acquainted with him at the time that he assigned him his forest rights, so there had to have been someone close to the King and with him on a regular basis who could present his case so persuasively that the royal ear would be impervious to contradictory reports from Oxford’s enemies. Luck was finally coming Oxford’s way, for on his side now were not just one but two of the most influential men near James. These were the Herbert brothers, William, the 24-year-old Earl of Pembroke and his 18-year-old brother, Philip, sons of Mary Sidney, whose boyish charms had won the gay king’s heart. William Herbert’s actions from this point on suggest that he was already considering how he was going to get his hands on the Court Stage. In fact, with his interest in the theater (doubtless engendered by his mother while he was in his impressionable teens) he may well have been the chief factor in persuading the King to give London’s top three acting companies the kind of royal support they could never count on from Elizabeth. With Shakespeare’s company well-set with the King, their playwright too had to be made secure. Oxford had made a lot of enemies over the years, but two were now particularly dangerous. Most obvious was his cousin, Lord Henry Howard, termed by his wikipedia biographer “one of the most unscrupulous and treacherous characters of his age.” Oxford had plenty of reasons to loathe Howard whose libels (carefully saved by the Cecils) are still the major cause of the permanent blackening of his reputation with historians. While Elizabeth was alive, her dislike of Howard kept him from causing any real trouble, but by writing at length to James as she approached her final days, he succeeded in making himself indispensable to the insecure new King. Now, loaded with honors and powers, the new Earl of Northampton was a real threat, not only to Oxford but to any playwright who might dare to satirize him on the public stage. He could haul Ben Jonson into Star Chamber with impunity, but the Earl of Oxford required more subtlety. Shakespeare’s most typical villain is a smooth-talker who takes pleasure in wooing then betraying his victims, the perfect image of Henry Howard. 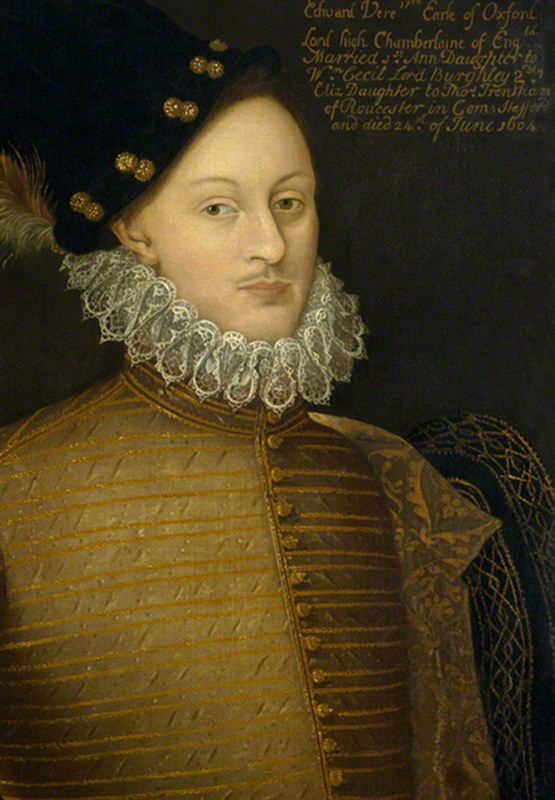 It was he who had been the most likely source of the rumors that broke up Oxford’s marriage in 1576. It was partly with his encouragment that his brother, Thomas, Duke of Norfolk, embarked on the insane plan to marry the Queen of Scots that cost him his head in 1572. Eight years later Howard almost succeeded in doing the same thing to Oxford. In another ten years his interference would be the direct cause of a heinous murder that would surely have destroyed him and his reputation forever, as it did a dozen others at Court, had he not conveniently died before the poisoned tarts hit the fan. 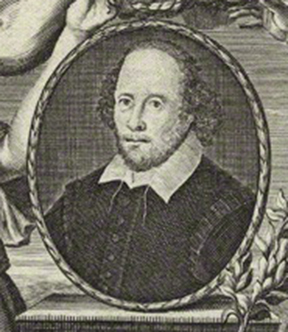 That Henry Howard was the inspiration for characters like Edricus (Ironside), Ateukin (James IV), Iachimo (Cymbeline), and finally, two of Shakespeare’s greatest villains, Iago in Othello, based on Howard’s destruction of Oxford’s marriage, and Lady Macbeth, based on the downfall of his brother, the Duke of Norfolk. 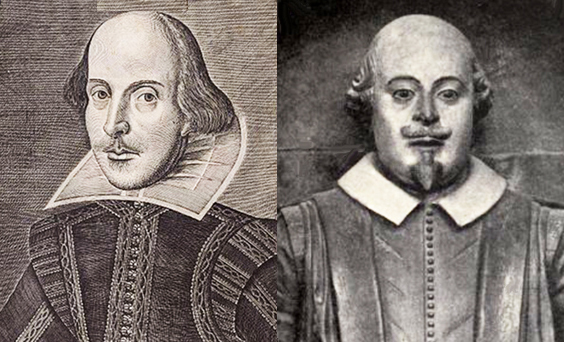 Can we imagine that Howard, so paranoid about how he thought Jonson might have portrayed him, couldn’t see himself in these characters, and so wouldn’t have done everything he could to prevent the publication of Oxford’s plays? 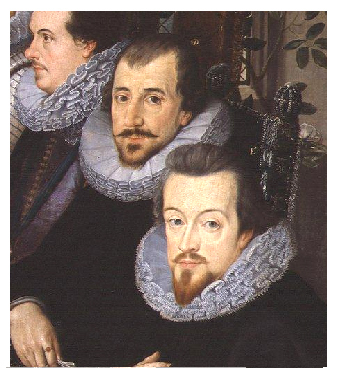 Even more dangerous to Oxford was his own brother-in-law, Robert Cecil. Having played the same game with James as did Howard over the months before Elizabeth’s passing, and now equally loaded with offices, honors, and powers, it seems that Cecil gradually lost all moral restraint (Handover) . 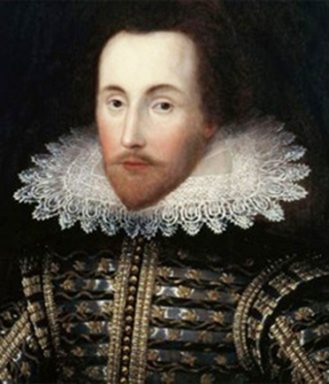 By 1604, with Marlowe dead (or transported), Lord Strange dead, and his brother-in-law Henry Cobham and the great Sir Walter Raleigh locked up tight under charges of treason, he’d managed to rid himself of all his major enemies. Freed from fear, and with the ugly network of spies and agents creating by Francis Walsingham at his disposal, his lower nature took over. By 1604 he was well on his way to becoming the most feared and hated man in the nation. Oxford could not have had Cecil in mind when he wrote the original version of Richard III (The True Tragedy of Richard the Third) in (at least) the early 1580s, when Robert was still too young to be of any concern. (Ramon Jiménez has reason to believe the first version was written as early as the 1560s; Cecil was born in 1563.) But with his rise to power in 1603-04, that Shake-speare’s wicked, power-hungry hunchback was modelled on himself, or even more distressing, that everyone thought he was, could not help but heap his envious heart with coals of fire. The enmity of one of these nasty characters would have been bad enough, but to have them working in partnership must have caused the aging playwright some concern. He pondered how to protect himself. And his papers. But why fake his own death? Oxford must have been tired of the rigamarole of life as an earl, something he had never been very fond of anyway. In a 1601 letter to Robert Cecil he refers to himself as a “hater of ceremonies” (=33). There was always something that had to be done, somewhere he had to put in an appearance. ; someone was always after him, to pay a bill, to forward a suit, to ask his opinion; and to what end? He was in discomfort, possibly pain. He knew he didn’t have a whole lot longer to live. How was he to get the time he needed? And now this deadly duo had to be dealt with. Plague struck the summer of 1603, just as King James was on his way south to take over the throne. It kept him away from London, at Pembroke’s in Wiltshire and other country estates until the winter. Plague mortality rates in Hackney were 88 percent, suggesting that if Oxford did decide to move to the Forest of Waltham, the plague of 1603 may have had something to do with it. Houses like King’s Place, made of wood beams and stone or brick, were not so likely to be infected as they did not have the kind of daub and wattle walls or thatched roofs that could so easily become infested with house rats, but of course at that time, no one knew that rats were to blame. Oxford was probably never very happy at Hackney. It was too close to the City to be peaceful and not close enough to the theaters to make up for the noise and congestion. In addition it was located in the kind of swampy area that anyone who suffered from recurring malaria would fear. Oxford would have been aware of the long tradition offered by the medieval Church that had allowed his ancestor, Aubrey de Vere, to “die to the world.” By taking holy vows, a person gave up all worldly desires, contacts, and duties; from then on they were regarded by everyone, including their own families and friends, as legally dead. Unfortunately this tradition was no longer open to the 17th Earl; Henry VIII and Edward VI had brought it to a halt when they closed the monasteries and nunneries. But with the help of the Earl of Pembroke and the King, like Measure for Measure’s “old fantastical duke of dark corners,” he could simply disappear, if not for good then at least long enough to get something finished. With so many doors now closed to him, guarded by his enemies, he still had one thing left that he could control––his exit. Well-versed in property law, Oxford would have known how to fix it so his wife and son couldn’t be touched by the creditors that were e’en at him. Pembroke and Bacon would take care of the legal details. They could see to it that he was registered as buried at Hackney. It would be easy enough to have his name taken off the rolls at Parliament. The various legal procedures were simply pro forma, those in charge operating on whatever information was given them. His wife wouldn’t like it, but if she was to see her dynastic dreams bear fruit she would simply have to go along with it. What a relief, simply to go off into the dark, silent forest with a bundle of paper, a pot of ink, a secretary to take dictation, a cook to provide simple meals, and a lutenist music meant he could look forward to the kind of uninterrupted peace and quiet that a writer needs more than food or drink. With the King, his friend, the sovereign of the Liberty of Havering, and a couple of “tall men” to ensure his safety, what a relief it must have been to be free to write and think from dawn to sundown, every day, with breaks for food and sleep and visits from only those he chose to see; no creditors to hide from, no suits to pursue, no begging letters to write to men whose guts he hated. As if this weren’t sufficient, on April 4, 1604, King James reconfirmed the Havering charter, “including the provision that the tenants ‘shall have one fair every year at the village of Havering, the same to last three days, that is to say in the eve of the nativity of St. John the Baptist and two days then next and immediately following . . .’” (ERO Q/AX 1/1/2). Paul asks, “Could it have been, at least in part, because of these unique protections that the Earl of Oxford was determined to acquire the stewardship of Havering-atte-Bower?” (19). I would add, “protection from what”? The answer wasn’t long in coming. What could have been the reason why someone felt called upon at that particular time, April 1604, to get the King to sign the charter stating that any celebration that took place in the Liberty of Havering on the 23rd of June would be legal and must not be disturbed? I suggest that, with Midsummer’s Eve parties taking place all over England, a special celebration took place that night in the Forest. There, surrounded by good company, entertained by the very best actors and musicians, Oxford, his patrons and close friends, without fear of disturbance, could gather around the traditional bonfire to toast the end of the Festival Year––and also, although most of them probably didn’t know it yet, the end of a great era in English letters. The next day the word went out: the Earl of Oxford was dead. Less than 24 hours later, government agents would collar Shakespeare’s “Fair Youth,” the Earl of Southampton, and five others, placing them under house arrest “at the King’s request.” Mark Anderson quotes the Venetian Ambassador in a letter sent back to Venice on June 26: “On Sunday night [June 24], by order of the King and Council, the earl of Southampton, Baron Danvers, and five others were arrested and each one confined in a separate house. Yesterday morning [June 25], after undergoing several examinations, they were set at liberty . . . .” (359). The reasons given were that charges had been made by unidentified persons that these former supporters of the Earl of Essex were plotting to slay several of the King’s Scottish attendants. 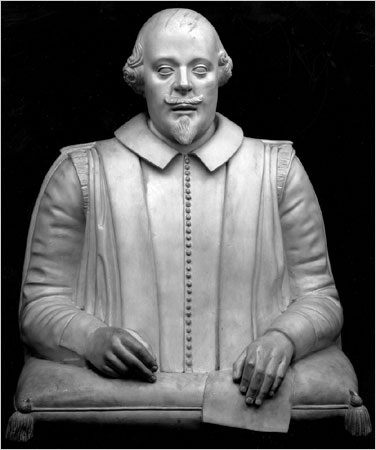 A later historian of James’s reign (attributed to Sir Anthony Weldon c. 1650) blamed it on Robert Cecil, who had “put some jealousies into the King’s head.” (Anderson 360). No further explanation was ever forthcoming, either from the no doubt embarrased King or anyone else. But dates don’t lie, and sometimes they reveal greater truths than on first glance. Like Hamlet, flushing out his uncle’s guilt with a play about the murder of a king, Oxford reveals––to himself and probably also to the King––what he’s suspected but needs to have proven, the dark nature of his brother-in-law’s intentions. Why would Cecil have Southampton arrested on a trumped up charge (the other men were simply window dressing) the very day he learns his playwright brother-in-law is dead? Why, if not to dig through the Fair Youth’s papers in search of something––exactly what is anyone’s guess––but, with Oxford gone, something he suspects is now in Southampton’s possession? What else could it be than something that relates to the Earl of Oxford? How many coincidences does it take to make an educated guess? Dates may not tell the whole story, but sometimes they can suggest its general outlines. When did Oxford really die? How long would Oxford have continued to live on out there in the woods, working on the final versions of his favorite plays, before death finally caught up with him? The best guess at this point is at least four more years, possibly five. 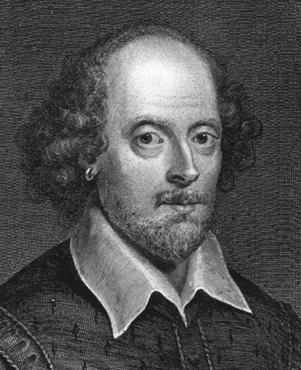 Several things happen in 1609 that probably wouldn’t have were he still alive:, among them: his wife’s sale of King’s Place, and two of Shakespeare’s most personal and the publication of two of his potentially most damaging works, the Sonnets and Pericles. How would his patrons, his family, and the actors react, once they know he’s gone for good? 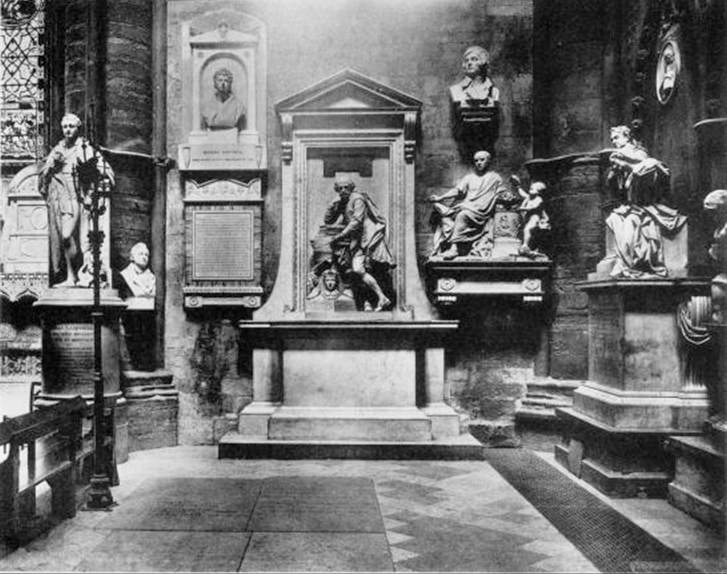 My suggestion: led by the Earl of Pembroke, a core group of his supporters formed an ad hoc committee to see to it that both he and his works were treated with appropriate––if private––love and respect. 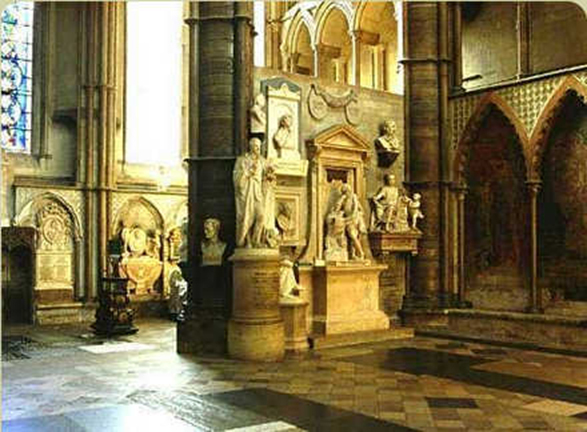 He was buried without fanfare, possibly in the forest, but it’s accepted from the beginning that his final resting place will be somewhere in Westminster Abbey and that, as soon as is feasible, his collected works will be properly published. 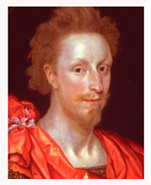 Time drags on, but Pembroke can’t act until he’s secure in the office he seeks, which doesn’t happen until the end of 1615, by which time both Cecil and Howard are dead and he’s now, finally, Lord Chamberlain of the Royal Household, with authority over the King’s Men, their plays, and to a large extent, the London Stage as well. 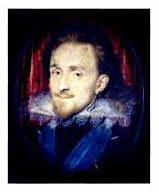 An Abbey funeral could not have occured before the internment of Francis Beaumont in 1616 since Beaumont’s tomb is mentioned by Ben Jonson in the dedicatory Ode to the 1623 Folio. That it was no later than 1619 seems likely from his cousin Percival Golding’s tract on the Vere family wherein it states that the 17th earl was buried in the Abbey, written (according to Robert Brazil) during or before 1619. The burning question of what happened to the holograph versions of Shakespeare’s plays is one more of those things that remain a mystery. With his daughter married into the Pembroke family, it’s most likely that Oxford’s papers went to the Pembrokes, who were responsible for having them edited, for getting the best copies from whoever might be holding them, and for obtaining the rights to publish from the various publishers currently holding rights to their publication. As anyone knows who has followed the process of getting a controversial author’s papers published, this can take a very long time. It’s most likely that Mary Sidney was the chief editor. Having spent years editing and publishing her brother’s works and her own as well, she had the credentials. 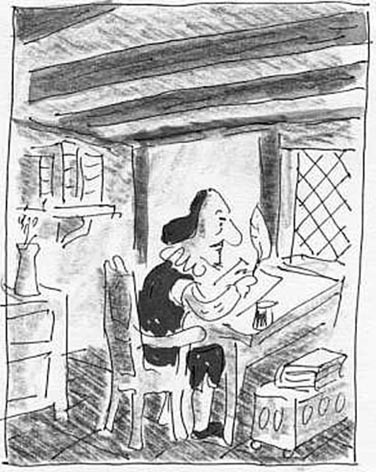 Not just any scrivener would be allowed to tamper with the great man’s words, not even Ben Jonson. She also had an insider’s awareness of what would have to be cut or changed to satisfy her community’s anxieties about the possible revelation of family secrets. Most likely she had help in this from Francis Bacon, who would have stepped in to finish the job following Mary’s death. 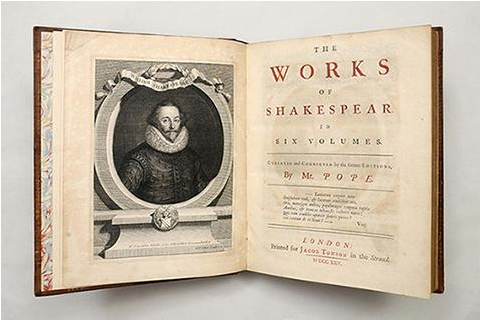 Both of their biographies fit well with the timetable of First Folio production. Ben Jonson was probably involved only in writing the front material. 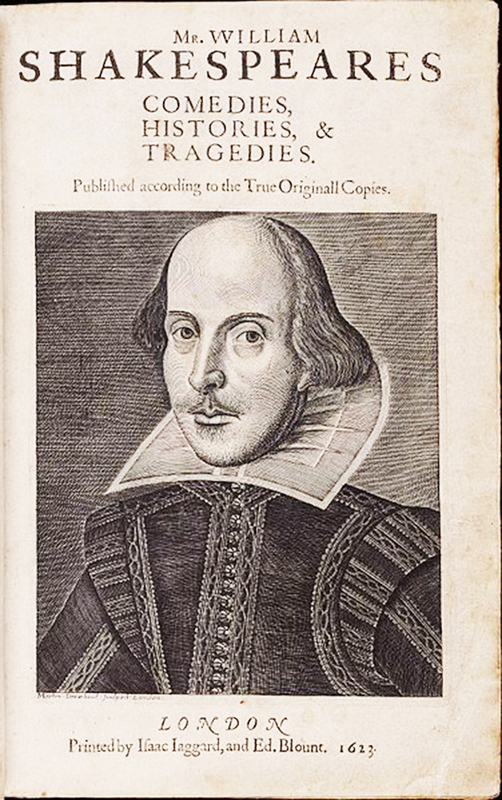 As for the fate of the holograph versions of the plays, what makes the most sense is that, once the First Folio was finished and published, they were burned. To satisfy the many individuals who had been satirized in the plays, or whose parents had been satirized, there would have to have been some such agreement. Unfortunately for us, the rest, as Hamlet put it, has been silence. There’s a great deal more to be said on the subject of Oxford’s death. For some of it, click here.